The city of Florida is fully self-powered by solar panels. In the United States built the first city that is fully self-sufficient energy from solar panels. It is called Babcock Ranch and is located in Florida. 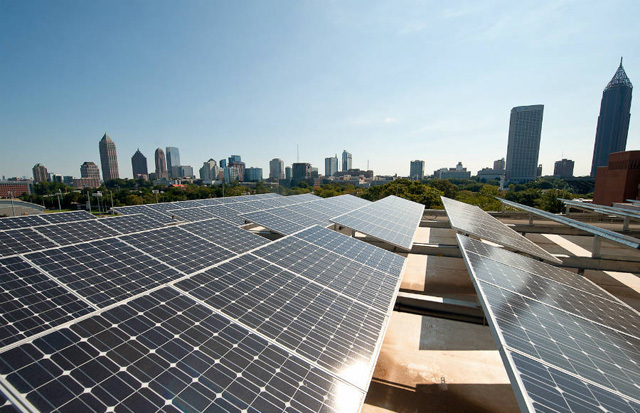 The city has almost 20 thousand houses that are powered by the sun. The first inhabitants of Babcock Ranch entered here in January 2018. Building a city on solar energy was not easy. Residents were worried about the high costs associated with its construction. One landowner donated the land of the local company. In this land, the company has installed 340 thousand solar panels that produce 75 megawatts of clean energy for the city. Residents pay electricity at the standard rate of the regular price. It is reported that over time, each homeowner will be able to install their own "solar roofs" and become truly energy independent.